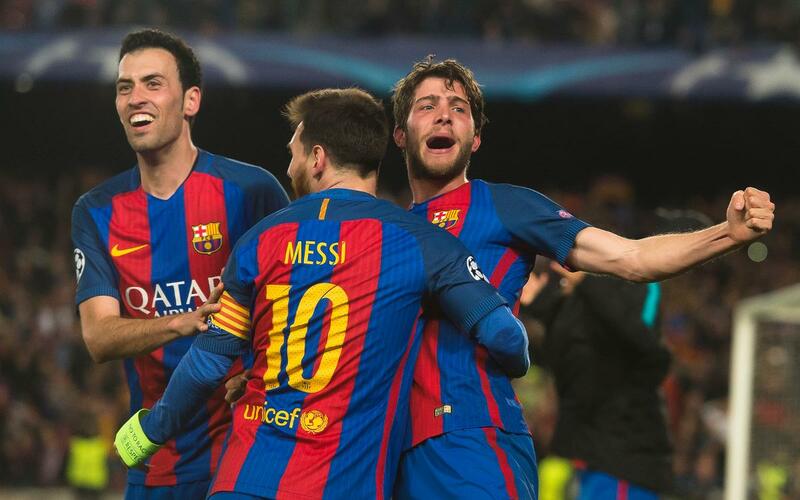 FC Barcelona’s comeback against PSG in the Champions League has been nominated for a Laureus Award. The 6-1 victory on 8 March 2017 at Camp Nou is a candidate in the World Comeback of the Year category. The victory for Luis Enrique’s team saw them overturn the 4-0 deficit from the first leg in the last 16 of the competition, a feat that had never been achieved before. In the category Barça are up against other nominated legends of sport such as Roger Federer, Moto GP rider Valentino Rossi, athletes Justin Gatlin and Sally Pearson as well as Brazilian football club Chapecoense who played in the Joan Gamper Trophy game for the Brazilian side at the start of the season. The final winner will be decided by the Laureus Academy and will be announced at a gala in Monaco on 27 February. Former winners in the category include swimmer Michael Phelps, rugby union star Dan Carter and tennis player Rafael Nadal. Barça have won three Laureus awards previously; one for their alliance with UNICEF in 2007, the best team award in 2011 and the third for the sportsmanship shown by the U14A team om the World Challenge Cup in Japan.